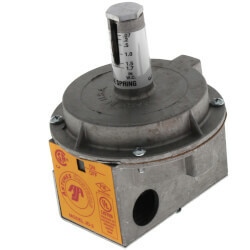 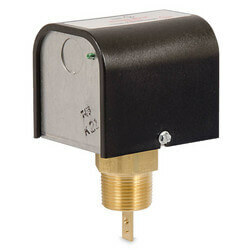 FS251, General Purpose Flow Switch w/ NEMA 1 Encl. 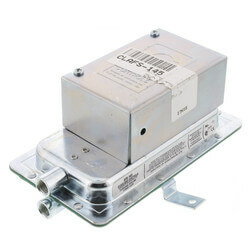 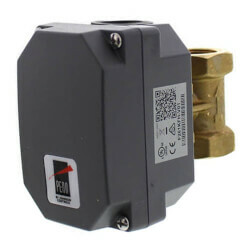 A flow switch is an instrument that monitors the flow of steam, air, or liquid. 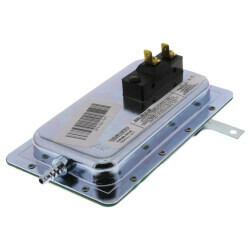 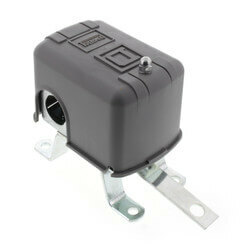 The flow switch sends a signal to a device, such as a pump, to turn on or shut off. 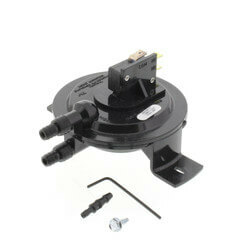 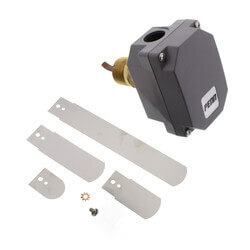 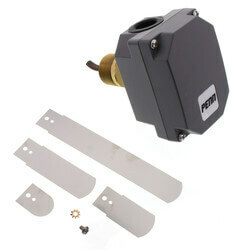 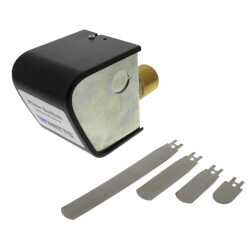 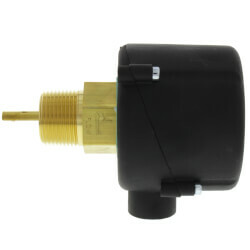 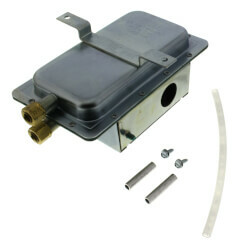 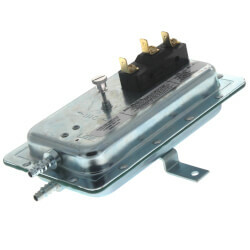 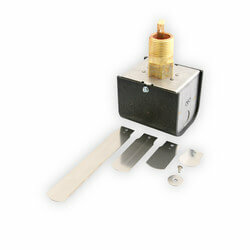 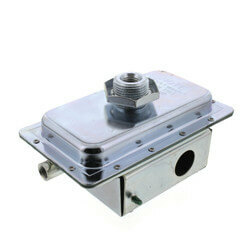 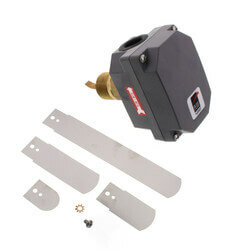 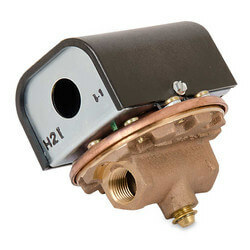 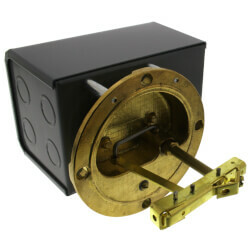 Flow switches can be used for air conditioning, heating and hydronic systems, among other applications. 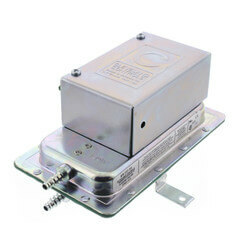 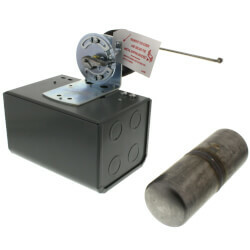 Air flow switches are used in applications that require low to high velocity, providing an economical way to detect change or loss of air flow velocity. 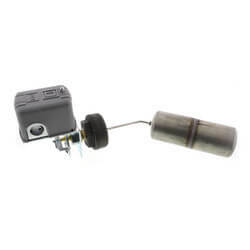 This change or loss may be caused by a closed damper or fan inlet, loose fan wheel, slipped or broken fan belt, dirty or clogged filter, or an overload on a fan motor switch. 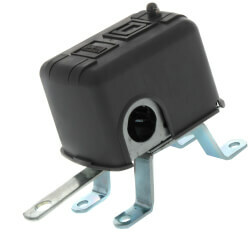 Liquid flow switches have a universal design and serve a wider range of applications, such as starting or stopping electrically operated equipment like signal lights, alarms, motors, and automatic burners. 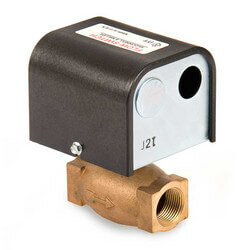 In addition, liquid flow switches are used for general purpose applications with environmental exposure or applications requiring a water-tight or dust-tight flow switch. 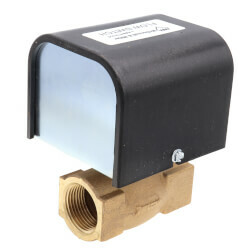 The liquid-flow F61 Series flow switch, manufactured by Johnson Controls, responds to fluid flow in lines carrying water, ethylene glycol, or other nonhazardous fluids. 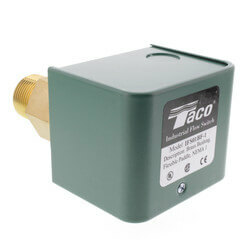 It also responds to low fluid flow rates in applications with pipe sizes under 1" trade size. 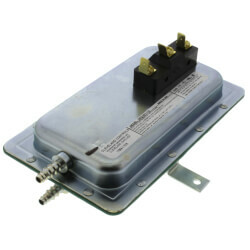 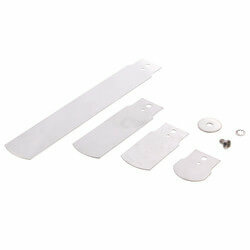 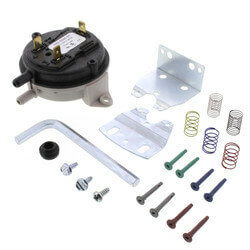 Our website offers a vast selection of McDonnell & Miller Johnson Controls, Watts. 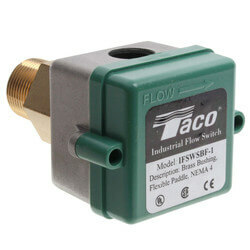 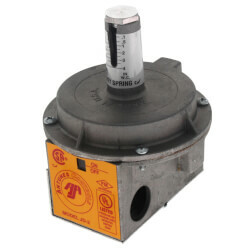 and Taco flow switches that suit a wide range of residential, commercial, and industrial applications.